Freeman rushed 130 times for 521 yards and five touchdowns and added 72 yards on 14 receptions over 14 games this season. Freeman rushed 17 times for 60 yards and caught eight of 10 targets for 43 more yards in Sunday's 23-9 loss to the Chargers. Analysis: Freeman took full advantage of Phillip Lindsay's absence due to a wrist injury and saw season highs in carries, targets and total yards. The 22-year-old finishes his rookie season with 130 rushes for 521 yards and five touchdowns to go with 14 catches for 72 yards. He'll likely serve in a backup role to Lindsay again in 2019. Offensive coordinator Bill Musgrave confirmed that Freeman will serve as the Broncos' lead back Sunday against the Chargers, Zac Stevens of BSNDenver.com reports. Freeman is expected to work as the Broncos' lead rusher out of the backfield Sunday against the Chargers with Phillip Lindsay (wrist) set to miss the contest, Mike Klis of 9News Denver reports. 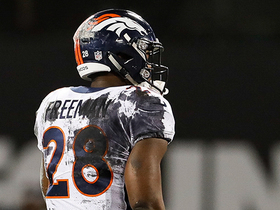 Freeman rushed seven times for 21 yards and couldn't corral his lone target in Monday night's 27-14 loss to Oakland. 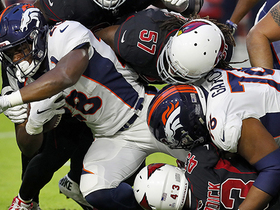 Analysis: Freeman became the Broncos' lead back once Phillip Lindsay was ruled out in the second half with a wrist injury, but the 22-year-old didn't do much with the opportunity. Game script didn't help, though, as the Broncos trailed by multiple scores for much of the contest. If Lindsay is unable to go at home Week 17 against the Chargers, Freeman likely would share backfield duties with Devontae Booker. Freeman posted four carries for seven yards and hauled in his only target for one yard during Saturday's 17-16 loss to the Broncos. Freeman carried the ball six times for 36 yards during Sunday's 20-14 loss in San Francisco. Freeman rushed for 48 yards on 12 carries and lost a fumble during Sunday's 24-10 win over the Bengals. Freeman managed 17 yards on six carries during Sunday's 24-17 win against the Steelers. Freeman carried seven times for 23 yards and a touchdown during Sunday's 23-22 win over the Chargers. Analysis: Freeman received his first offensive touches since Week 7, and although he averaged just 3.3 yards per carry, he was able to score on a 3-yard burst into the end zone in the third quarter. 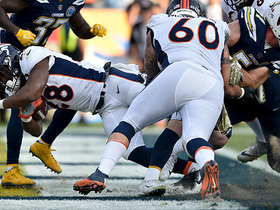 He received seven fewer touches than Phillip Lindsay, who generated 106 scrimmage yards and a pair of touchdowns. While Freeman will be in the mix for carries and red-zone touches, Lindsay still owns the larger role in this backfield and should continue as such next Sunday against the Steelers. 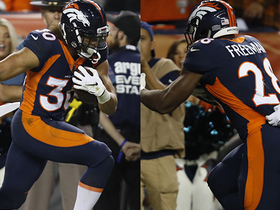 Freeman (ankle) was a full participant in Thursday's practice, Aric DiLalla of the Broncos' official site reports. Freeman (ankle) was listed as a limited practice participant Wednesday, Jeff Legwold of ESPN.com reports. Freeman (ankle) is participating in Wednesday's practice, Jeff Legwold of ESPN.com reports. Coach Vance Joseph reiterated Monday that he expects Freeman (ankle) to return to practice this week, Troy Renck of Denver 7 News reports. Coach Vance Joseph is optimistic Freeman (ankle) will return after the Broncos' Week 10 bye, Troy Renck of Denver 7 News reports. Analysis: Freeman missed two straight games leading up to the bye week, but managed a limited practice Friday. His return for Week 11 against the Chargers likely would push Phillip Lindsay into a timeshare and Devontae Booker back to a minimal role out of the Denver backfield. Freeman (ankle) is inactive for Sunday's game against the Texans. Analysis: With Freeman out Sunday, Phillip Lindsay will head Denver's Week 9 backfield, while Devontae Booker is on hand to work in a change-of-pace role. With the Broncos on bye in Week 10, Freeman will now turn his focus to returning to action Nov. 18 against the Chargers. Freeman (ankle), who is listed as questionable for Sunday's game against the Texans, isn't expected in the contest. His absence puts Phillip Lindsay in line to head the Broncos' backfield in Week 9, Zac Stevens of BSNDenver.com reports. Analysis: With the Broncos on bye in Week 10, it looks like the team is inclined to play it safe with Freeman, who will now turn his focus to returning Nov. 18 against the Chargers. Final confirmation of Freeman's status for Sunday's game will arrive when Denver releases its inactive list 90 minutes ahead of the 4:05 p.m. EST kickoff. Freeman (ankle), who is listed as questionable for Sunday's game against the Texans, isn't expected to play, Adam Schefter of ESPN reports. Analysis: With Freeman likely in line to miss his second straight game, Phillip Lindsay should serve as the Broncos' main running back in Week 9, while Devontae Booker works in a complementary role. The Broncos are on bye in Week 10, which gives Freeman three weeks to recover from a high-ankle sprain. 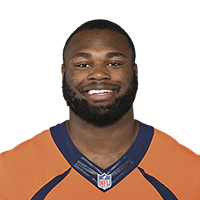 Coach Vance Joseph said that the Broncos' Week 10 bye would "absolutely" factor into Freeman's (ankle) availability for Sunday's game against the Texans, Nicki Jhabvala of The Athletic reports. The Broncos are listing Freeman as questionable for the contest. Freeman (ankle) is listed as questionable for Sunday's game against the Texans, Zac Stevens of BSNDenver.com reports. 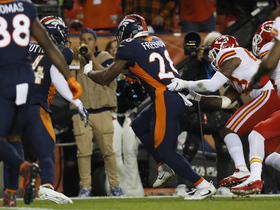 Analysis: Per Stevens, coach Vance Joseph noted Freeman is "getting better really fast," but the running back's questionable designation is reflective of the fact that he's not a lock to play in Week 9. If Freeman remains sidelined or has his snaps limited Sunday, Devontae Booker would retain a more sizable role behind lead back Phillip Lindsay. Freeman (ankle) was listed as a non-participant in Thursday's practice, Nicki Jhabvala of The Athletic reports. Analysis: Freeman was spotted on the practice field Thursday with his helmet, but he didn't participate in any team drills and was subsequently officially listed as not practicing. His status for Sunday's game against the Texans is thus murky, especially with the Broncos' Week 10 bye looming. If Freeman remains sidelined this weekend, Phillip Lindsay would head Denver's Week 9 backfield, with Devontae Booker on hand to work in a change-of-pace role. Freeman (ankle) was spotted at practice Thursday, Kyle Fredrickson of The Denver Post reports. Analysis: We'll have to see how the Broncos list his participation level, but Freeman's presence on the field Thursday suggests that he could return to action as soon as Sunday's game against the Texans. Once he's fully up to speed, Freeman would presumably resume a backfield time-share with Phillip Lindsay, with Devontae Booker on hand to work in a change-of-pace role. 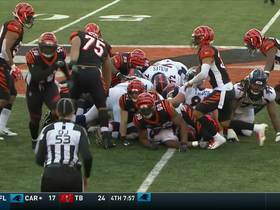 Cincinnati Bengald linebacker Hardy Nickerson forces fumble off Denver Broncos running back Royce Freeman. 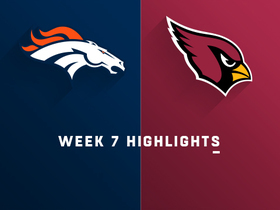 Watch the highlights from the Week 7 matchup between the Denver Broncos and the Arizona Cardinals. 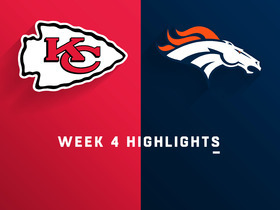 Watch the Denver Broncos running backs Phillip Lindsay and Royce Freeman's best runs from their Week 4 matchup against the Kansas City Chiefs. 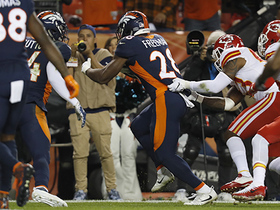 Denver Broncos running back Royce Freeman breaks two tackles against the Kansas City Chiefs defense.